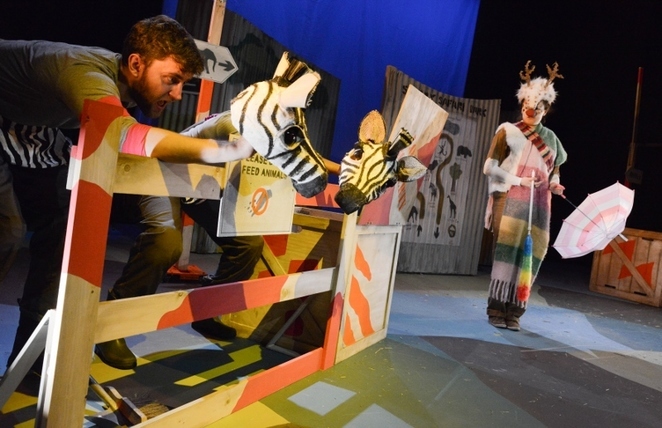 Rudolf the Red-Nosed Reindeer flies into Birmingham this Christmas in a new family show at Midlands Arts Centre (MAC). 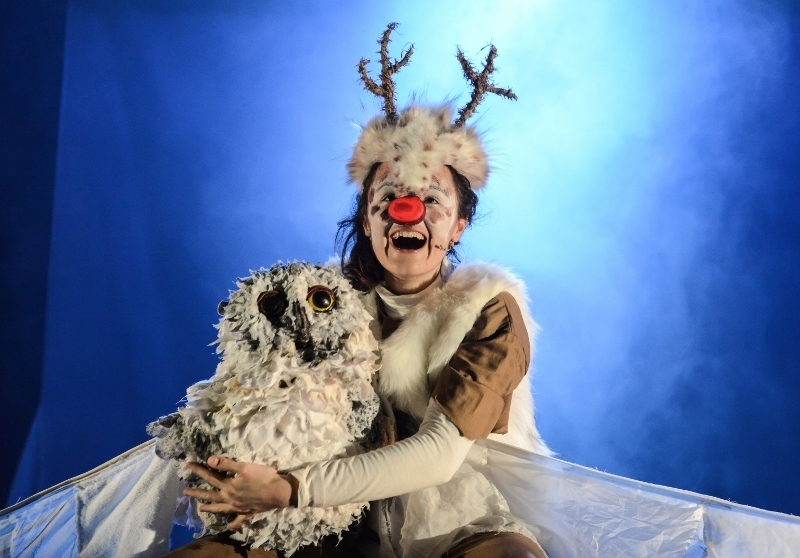 A co-production with Pins and Needles Productions, Rudolf uses actors, puppets, music and song to tell a whole new story for the reindeer. Here Rudolf, who is female, begins life in a safari park but is keen to discover who she really is, so sets off to the North Pole on an adventure. Hannah Bristow, who plays Rudolf, explains that behind the fun there's also a message for children. "It's about the fact that being different is OK and that you can find strength in difference – which are really important messages for all ages," she says. "I think everyone at some point in their lives feels a bit different, they might even feel a bit bullied or outcast, and so they will relate to the story. We also know that we need to accept difference and foster individuality but I'm not sure everyone always does." Pins and Needles have built up a strong reputation for creating imaginative theatre for youngsters and this year won the UK Theatre Award for Best Show for Children and Young People for their production of The Little Mermaid. With a successful track record including adaptations of Raymond Briggs's classics Father Christmas and The Bear, Rudolf, which is aimed at children aged four and above, is a new direction for the company. Anna Girvan, Rudolf's director, explains: "Pins and Needles are known for making really inventive, non-traditional, family Christmas shows. But this production is slightly different because it's the first time they've worked from something which wasn't already a book or an existing story. With Rudolf the only thing we really have is the song itself. As a starting point that song is really useful as it has lots of really interesting themes – things about bullying, about feeling out of place, about trying to fit in – all of which feel like important morals." And she adds: "You can take any story and make it your own and I hope this show encourages children to do that with the Rudolf story and to see that there isn't just one side to the story but there's much more to it. That then hopefully encourages them to be creative and to think about other sides to other stories. If it makes them think outside the box then we'll hopefully not just have the same stories being told over and over again." Composer Stu Barter has also aimed to ensure the music isn't quite what people would expect from Rudolf. He says: "Because they were looking for a non-traditional setting for the story we felt that should also be reflected in the music so it's quite contemporary, not old-fashioned at all. We've also included four big songs – every one of the main characters has their song. There's something about the character of Rudolf that fits this idea of contemporary music – there's a bit of gumption, a bit of recklessness in her. There are also two musical worlds – the safari park world which is a bit edgy and punky and then the North Pole which is more magical." MAC stages Rudolf between November 17 and December 31, for ticket information contact macbirmingham.co.uk or 0121 446 3232. Why? Discover the real story of Rudolf!